If you are looking for body armor products or a cheap bullet proof vest. There are many solution on the market, whether you are part of law enforcement or you just want personal protection just in case, you’d definitely find one that’s suitable for you. When people search for a bullet proof vests, they usually look for cheap bulletproof vests and how heavy they are. 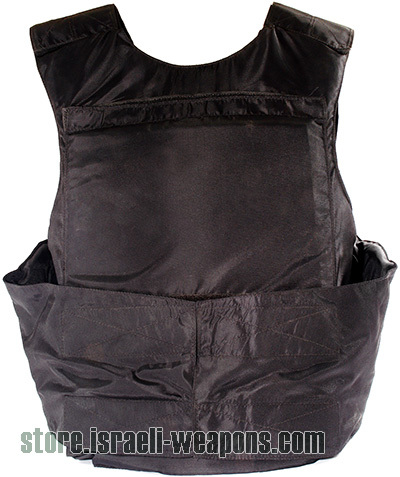 Lightweight bulletproof vests are very popular, as with today technology many soft armor products have light weight even bulletproof vests rated with IIIA. These bullet proof vests are easily concealable and comfort to use because if their weights. Many bulletproof vest usually worn by the police or a SWAT team outside of their shirts include heavy armor plates that limit mobility. If you’re looking for one that you can wear under your shirt and would easily be concealable, a lightweight civilian bullet proof vest would be the better choice. When you are trying to purchase body armor for your job as a law enforcement personnel, then a lightweight bulletproof vest will be enough. For heavier solution you should also check to add armor plates that will stop heavier rifle rounds. A bulletproof vest must be built with many layers of high-quality fabric and material as aramid to ensure durability even if worn every day. While shotguns and rifles will probably still get through lightweight body armor, you can expect protection from shrapnel (if the vest is knife-proof and stab-proof) and bullets from smaller guns and hand pistols. You need to check if the bullet proof vest and bullet proof jacket if it has ballistic tests certificate. There are certain armor levels of different bulletproof vests that range from Type I, type IIA, type II, type IIIA. If you are looking for body armor that’s lightweight and may be worn under clothes, make sure it’s made with material that’s hypoallergenic so that you won’t get rashes as these are worn tight. Good bullet proof vests that can be worn underneath clothes are preferably light in color such as white or beige so that it’s easily concealable and would just look like an under shirt. A bullet proof vest need to be in the right size. If you are wearing bullet proof vest larger than what you need, you could not concealed it. If it’s too tight, it may expose a body part that can be fatal when hit. Wearing bulletproof vest that’s not your size will be very uncomfortable as well. If you are searching for body armor that’s best worn every day, look for a lightweight bulletproof vest with the right size and specifications. Rest assured, you will receive the protection you need without sacrificing comfort.